Hey I want to ask, is there any hope that this will get dowgraded at all? How that my time is returning, I can look into downgrades. What version did you have in mind? What do you think? What is the most modded version that everyone is talking about and lots of people are still playing it and lots of people will probably play it as long as the minecraft community itself will exist? EDIT: Sorry for such an edgy response it is the first thing that came into my mind. Why airships don't show in journeymap? I'm playing craft of the titans modpack and for some reason my airship becomes transparent sometimes, so i've returned to main menu and reentered in my map trying to fix it. Now i fallen from skies and my ship disappeared. Honestly not sure. 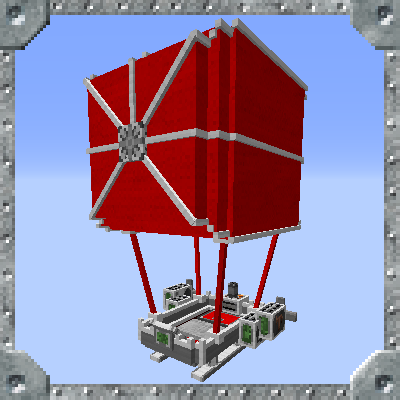 My airships are similar to minecarts and boats. It is a entity, but not a living one that journeymap would track. I have not heard of my airships becoming transparent. Does it happen often? I did not tested with other airships. I would suggest to you create a compass upgrade for find airships and make it bigger for visualization and fight without risk because the hit boxes. Mind if I share a potential idea for a new item with you? Currently, your mod has 11 upgrade modules & I think you should add a carrying case of some sort just for them. 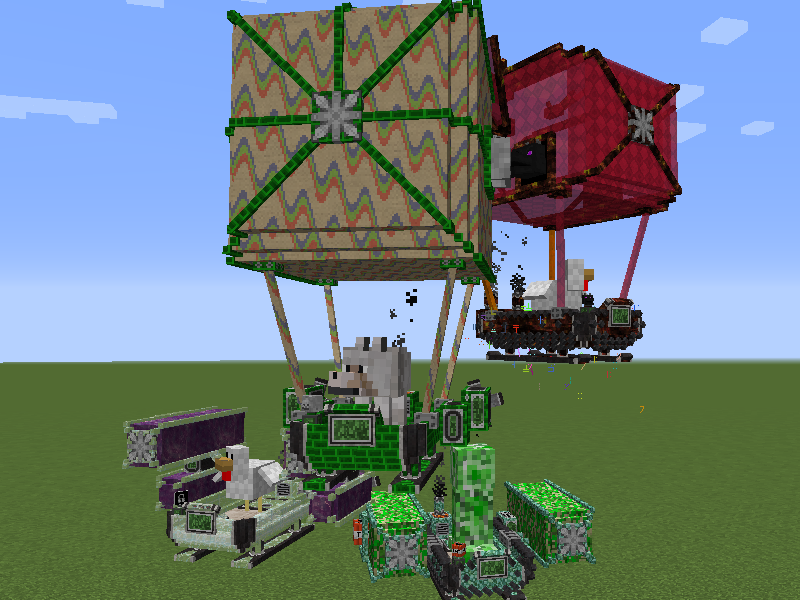 Botania has its Baubles Case, Biomes O' Plenty has a Flower Basket, Immersive Engineering has the Engineers Toolbox & Extra Alchemy has a Potion Bag. I honestly think you should add a Module Pouch to carry said Modules without taking up to much inventory space. I mean, you never know when you might need to switch out a Module at a moments notice. What do you think, Good idea, or no? Overall, I love this mod & can't wait to see what you have up your sleeve. I like this idea! I will make carrying case for my modules in the next update. Thanks! I ended up making two bags just because. One is a 24 slot that holds only modules. The other one is a 24 slot that hold any items. :) I will test it tonight and then add it to my 1.10.2 release as well. That sounds amazing. Can't wait to see them. Just wanted to say that I think this mod is spot on. So much fun! I want to make a localization for the mod, but I found that a lot of entries is hard code. What's more, where can I submit the localization? Could you create a github repository that aim to submit localization? I can look into revisiting things like the modules to see if I can set things up for localization. I will work on getting something up and running for it this weekend. Thanks! I will be getting the mod set up for localization hopefully by Saturday. It really shouldn't take too long to power through everything, as I made pretty great use of my code I write, but I will be pulling out everything I can think of :) Fun fun fun!